I wrote a book! 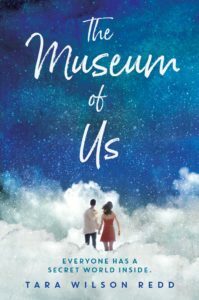 It’s called The Museum of Us. You can read more about it here on my Penguin Random House page. It got a starred review in the School Library Journal. How awesome is that??? I’d really love this book to be in public libraries and school libraries everywhere, and chances are your local library has a “request this title” feature. If you like it, please do request it! It makes all the difference in the world, especially to me, because so many of my favorite books have been fortuitous library finds.